The University of Baltimore’s Langsdale Library is in the midst an entire renovation. Originally built in 1965, The Abdell Foundation held a competition to modernize the building in 2014, and Behnisch Architekten based in Boston, MA, was responsible for the winning design. The firm produced a concept intended to maintain the “floating box” appearance of the original building, and modernized the structure with a three-dimensional exterior metal panel façade of varying heights and depths. 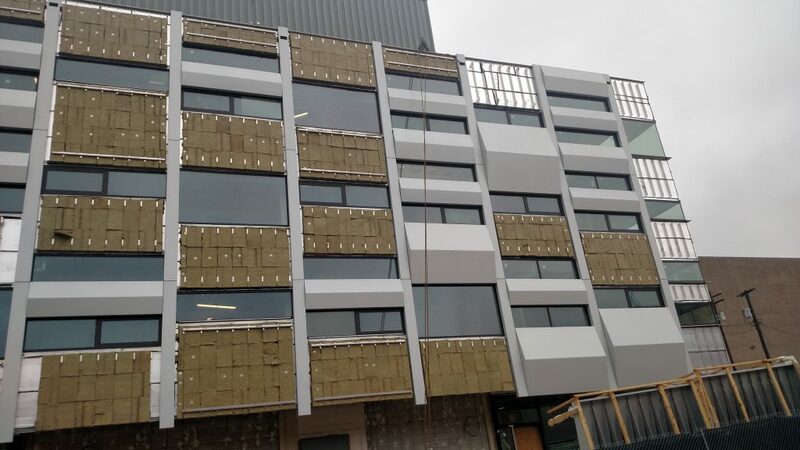 Currently, Metalwërks are producing 18,000 square feet of Arcwall rainscreen panels for the exterior façade. 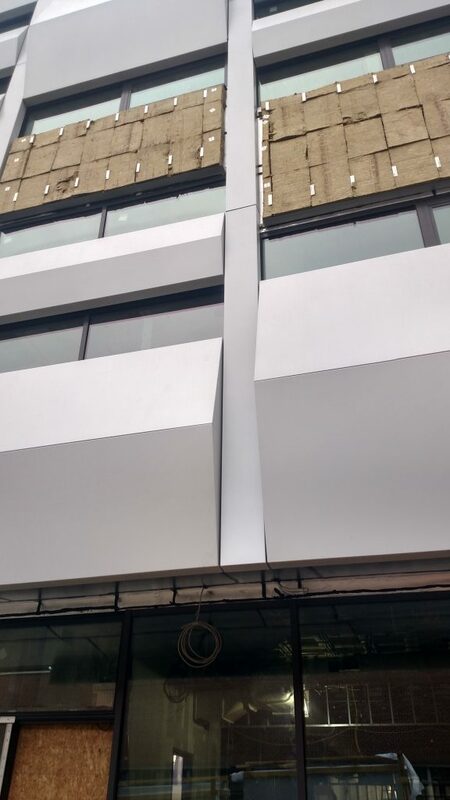 These panels are fabricated using 0.125” thick solid aluminum plate and are coated with a 2 coat mica PVDF finish. 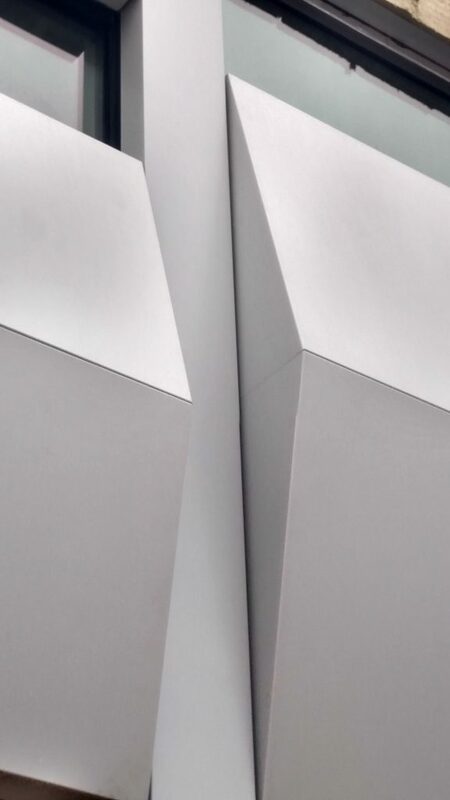 Solid aluminum was used to fabricate the 3 dimensional profiled panels which allowed for seamless panel edges; this was attained by welding and grinding prior to post-painting. Metalwërks engineered the panels to be shop-assembled into oversize units and the panel stiffeners were designed to also form the frame of this unitized unit. 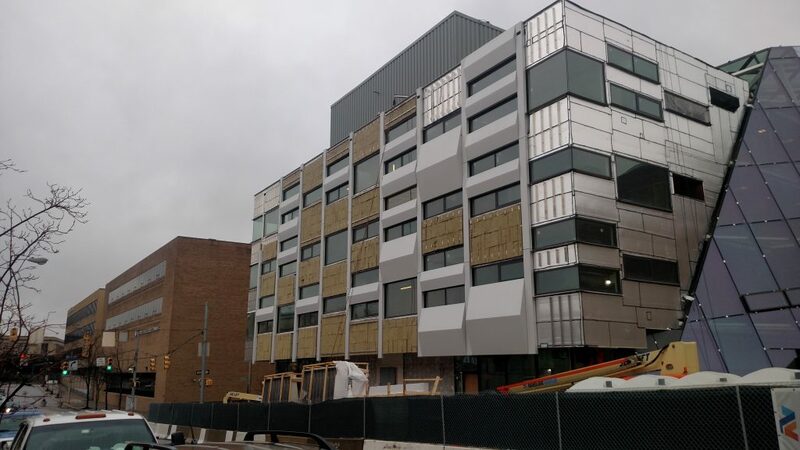 The panels and units are being installed by AC Dellovade based in Pittsburgh, PA.